Bears Paw Country Club is a gated, private country club community featuring Naples’ first Jack Nicklaus Signature Golf Course. Home styles include 15 luxury single-family homes, 90 villas, and 192 condominiums for a total of 297 residences. And to make the golf course easier to play, each residence includes a golf cart. Plus all homes offer incredible views, comfort, privacy and convenience to all Naples has to offer. The Bears Paw championship golf course first opened in 1980. Of course, it has been renovated many times since then, most recently in 2015. The course features narrow, tree-lined fairways bordered by thick rough and water hazards come into play on several holes. 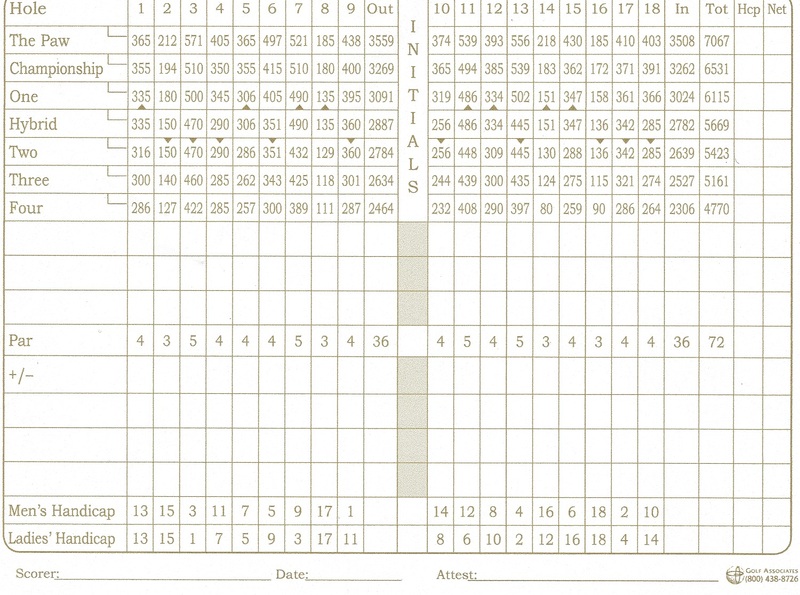 There are several elongated, undulating, well-bunkered greens. The signature 14th hole is a 205-yd par 3. A classic Nicklaus hole, it requires a tee shot over water to a narrow green, bunkered in the rear. The par 72 golf course stretches 6899 yards from the back tees. And it sports a healthy slope of 138 and a rating of 73.8. In addition to golf, Bears Paw offers casual and fine dining. The Nicklaus Grille Room & Bar overlooks the Signature Jack Nicklaus Golf Course. And the main dining room features dinner menus of savory and elegant cuisine. The fitness center offers cardiovascular & strength machines, free weights, and a stretching area. They also offer programs and classes and is staffed by trainers and wellness coaches. And something offered at only a few other clubs in the area. Members-only boat docks are situated along the Gordon River, providing direct access to the Gulf of Mexico. This offers members opportunities for boating, fishing, kayaking, canoeing, and stand-up paddleboarding. Members may also take advantage of numerous social clubs and events. 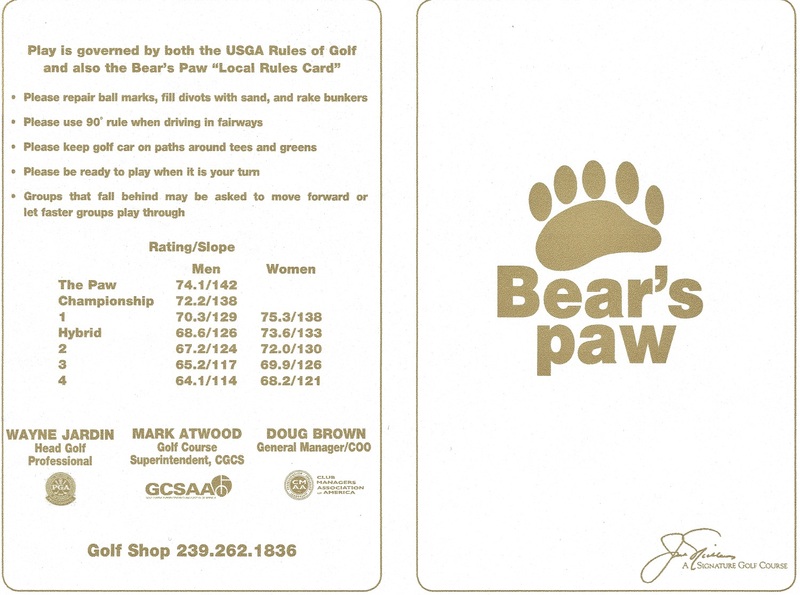 For additional information about Bears Paw Naples Florida, please complete the form below! I or one of my team members will respond to you within one business day.